Russia will look to build on their superb opening-day performance when they take on African giants Egypt who are desperately seeking a win. Victory for the host nation will put them on the brink of the knockout stages, while defeat for the Pharaohs would almost certainly condemn them to an early exit. After entering the tournament ranked a lowly 70th in the world, Russia got their World Cup campaign off to a dream start as they thrashed minnows Saudi Arabia 5-0 at the Luzhniki Stadium in Moscow. Russia's victory maintained the pattern of no host losing an opening game in the tournament. The early victory was good for the Russian team and for the atmosphere among their supporters. It was their first win in eight matches and it came in emphatic fashion. The Russians lost attacker Alan Dzagoev to injury against the Saudis and the 28-year-old will play no further part in the group stage. But Stanislav Cherchesov’s side showed they can cope without Dzagoev as Villarreal attacker and one-time Real Madrid player Denis Cheryshev replaced him and scored a brace and young Aleksandr Golovin made two assists and a goal to more than make up for Dzagoev's absence. Golovin was Russia's creative inspiration and Cherchesov will be hoping for another great display from the youngster. The 22-year-old will be up against a tougher Egyptian defence and will have to be on top of his game to beat Ahmed Hegazi and co.
Cherchesov’s side currently top Group A on goal difference ahead of favourites Uruguay, who needed a last-gasp goal to scrape past a dogged Egypt 1-0 in their first game of the tournament. Egypt conceded a late Jose Gimenez header to lose their first game against Uruguay. However, the Pharaohs will be looking to bounce back with Mohamed Salah set to play this time round. Hector Cuper’s men showed against Uruguay they will not defend as generously as the hapless Saudis and Salah will relish the chance to torment Russia’s aging defence. The Liverpool attacker will add pace and invention to the team and his return should also provide a morale boost. The Pharaohs are still targeting a second-place finish in the group, but must beat Russia to have any hope of achieving that goal. With the return of Salah – who scored 44 goals in all competitions for Liverpool last season – Cuper’s men will fancy their chances of victory on Tuesday and the Russian defence will need to be on high alert to contain the Liverpool star. The aim for Egypt is to avoid elimination at the group stage, which happened the last time the Pharaohs appeared on the world stage in 1990. But if that is to change, the Pharaohs need to make sure they win this game which won’t be easy. Akinfeev; Fernandes, Kutepov, Igansevich, Zhirkov; Gazinskiy, Zobnin; Samedov, Golovin, Cheryshev; Smolov. El Shenawy; Fathy, Gabr, Hegazy, Abdelshafi; Elneny, Hamed; Warda, Elsaid, Salah; Mohsen. 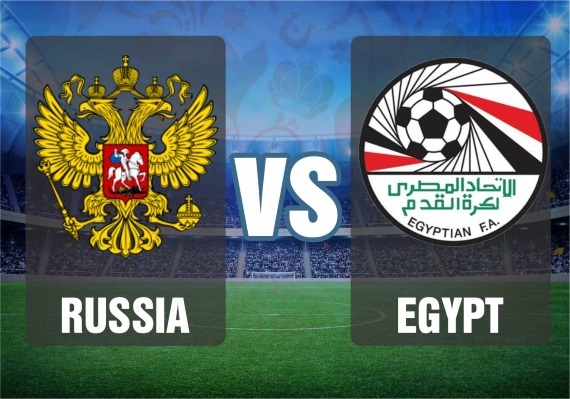 The Egyptians will face yet another tough test with Russia coming into this game high on confidence and with home advantage. But with Salah in the team, the Pharaohs will get plenty of chances to score. However, I still think Russia won’t lose this game. I’m going for Russia on the Win/Draw Double Chance and Both Teams to Score at 16/10.